With suicide prevention month coming up, our team thought it would be a good time to reach out. 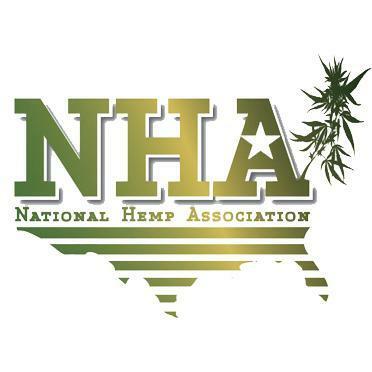 You may not know this, but many folks with anxiety and depression have used CBD for support during tough times. We’ve heard stories that really touched us, and we admire their courage for coming through it. But some people don’t have the same support, and may not know where to turn when things feel like too much. We’ve added some resources at the bottom of this blog, in case you or someone you know could use some extra support. For today’s post, I thought it would be good to talk about male suicide. Men have a much higher rate, and generally have much less support, culturally, for expressing their inner experiences. These doctors explored it more deeply, showing some intense data. TLDR Version: Male suicide is a huge unspoken issue that we need to talk about, and offer more support for. See the links at the bottom of this article for organizations that can help. A lack of public awareness and too few explanatory frameworks and preventive efforts specifically targeting male suicide have made a major public health problem largely invisible. Suicide in men has been described as a “silent epidemic”: epidemic because of its high incidence and substantial contribution to men’s mortality, and silent be­cause of a lack of public awareness, a paucity of explanatory research, and the reluctance of men to seek help for suicide-related concerns. A statistical overview demonstrates a shockingly high rate of death by suicide for men compared with women, and a need to focus attention on prevention, screening, treatment, and service delivery. Promising lines of research include identification of clinical indicators specifically predictive of male suicide and exploration of precipitating and predisposing factors that distinguish male suicide and account for the substantial gender disparity. Only by breaking the silence—building public awareness, refining explanatory frameworks, implementing preventive strategies, and undertaking research—will we overcome this epidemic. It has a disturbingly high incidence and is a major contributor to men’s mortality. In British Columbia, suicide is one of the top three causes of mortality among men aged 15 and 44. Among men of all ages in Canada, suicide ranked as the seventh leading cause of death in 2007. Second, while accumulating empirical evidence confirms that men in Western nations consistently die by suicide at higher rates than women[6,7] (with the pattern reversed for nonfatal suicidal behaviors), surprisingly few explanatory frameworks have been developed to account for this persistent pattern. Finally, given men’s general reluctance to seek help for suicide-related concerns, and the stigma associated with mental health problems in general, it is no surprise that suicide among men is largely invisible. A statistical overview of the magnitude of the problem within a Canadian context reveals that suicide claims the lives of nearly 3000 men each year. Findings from a range of intellectual traditions and disciplines, including contributions from quantitative and qualitative research paradigms, reveal much about the consequences of male suicide to society. These consequences lead in turn to discussion of prevention, screening, treatment, and service delivery issues, as well as recommendations for future research. • The male suicide rate increases fairly steadily with age, peaking in the late 40s, then falling significantly and rising again in the 80s. • Male rates are greater than female rates at all ages and substantially greater across most of the lifespan. Among US white men, middle age has historically been a time of relatively lower risk of completed suicide, compared with elderly men. Yet by 2005, the suicide rate of white men aged 45 to 49 years was not only higher than the rate for men aged less than 40 years but also slightly higher than the rate for men aged 70 to 74 years… suicide-prevention efforts have fo­cused most heavily on the groups considered to be most at risk: teens and young adults of both genders as well as elderly white men… Suicide in the middle-adult years has not been studied as extensively. It is apparent that our knowledge of men’s suicide is lagging behind changes in the age-specific incidence of this cause of death. Until we understand the underlying reasons for this relative increase in men’s suicide rates in middle age, including potential cohort effects, we will not be able to implement effective preventive action. Suicide is the second leading cause of potential years of life lost by men compared with women, reflecting both men’s higher rate of suicide and the relatively young age at which many suicide deaths occur. In Canada, suicide accounts for about 10% of all PYLL for men; in BC, it accounts for about 7%. We also need to look at suicide attempts to understand the gender difference in suicidal behavior. Al­though men die by suicide at a higher rate, women have a higher rate of attempting suicide.16 This pattern is evident among youth and persists over the lifespan. The ratio between suicide attempts, based on hospitalization data, and actual suicides for men and women in Canada, is shown in Figure 2. It should be noted that there is a spectrum of self-harm, ranging from acts of physical self-harm not intended to be suicidal, to acts that reflect ambivalence about dying, to acts that reflect a clear and settled intention to die. The broad term deliberate self-harm (DSH) is often used in the research literature to capture this range of possible actions. As one might expect from the suicide attempt statistics, women show much higher rates of DSH. We do not fully understand the complexity of suicide, including the reasons for the gender difference in suicidal behavior. This makes it particularly challenging to develop effective prevention programs that can address the high rates of suicide in men specifically. One line of investigation has focused on suicide methods. A well-established finding is that men are more likely to use suicide methods of high lethality, methods with increased risk of death. For example, a recent pan-European study found that the highly lethal methods of hanging and firearms were more likely to be used by men. Sixty-two percent of males, versus 40% of females, used hanging or firearms in their suicidal actions. Other investigators have confirmed that compared with suicidal women who use firearms to shoot themselves in the body, men are more apt to shoot themselves in the head, increasing the likelihood of death. These findings suggest that restricting access to fire­arms might be a way to achieve a relative reduction in male suicide, and there is some tentative support for this as an important suicide prevention strategy. [21-23] In contrast, it is next to impossible to reduce access to ligatures and suspension points commonly used in hanging deaths since these materials are widely available in the community. From another point of view, we could ask why men are more likely to choose methods of high lethality. With regard to the use of firearms, it may be that men have more familiarity with and exposure to guns and thus are more likely to use this method. But when it comes to hanging, the picture is far more complex. For example, proportionally, women choose hanging as a method of suicide almost as frequently as men. Here in British Columbia for example, hanging was the most common method of suicide for men and women in 2009, accounting for 48% and 38% of suicide deaths respectively. This observation un­dermines a simplistic, dichotomous understanding of the role of methods (i.e., more lethal versus less lethal) when attempting to account for the persistent gender gap in suicide. • More clearly resolved to die. • More likely to be intoxicated and thus more disinhibited. • More willing to carry out actions that might leave them injured or disfigured. • More unconcerned with consequenc­es because of a high risk-taking orientation. • More likely to have a greater capacity to enact lethal self-injury. Despite some limited theoretical and empirical support, we currently lack strong evidence to support these explanations. A study of suicide attempts in older men and women showed that men were more intent upon dying and mov­ed more quickly and decisively from considering suicide to acting upon the suicidal ideation. 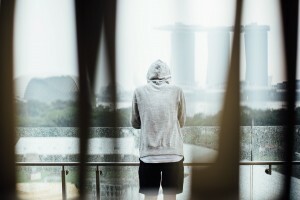 The study noted, “Our findings suggest that factors res­ponsible for the increased suicide rate in older men operate largely during the suicidal crisis itself: once a depres­sed older man develops serious suicidal intent, he tends to realize it with little hesitation.” The reasons men move in this unhesitating way to suicidal behavior remain to be determined. Men’s lack of social support, relative to that available to women, has been implicated as a risk factor in male suicide. An interview-based study of men who had attempted suicide suggested that social stressors—family breakdown, overwork, employment insecurity—often combined with alco­­hol or drug abuse, are understudied contributors to male suicide.28 Some evidence suggests that occupational stress contributes more strongly to male than female suicide. Consistent with men’s relatively low levels of help-seeking for psychological difficulties, a review of help-seeking by individuals who eventually died by suicide showed that men had lower overall rates of contact with the formal health care system (including primary care and mental health services) compared with women. Specifically, in the year before suicide, an average 58% of women versus 35% of men sought care from a mental health practitioner. In contrast, an average 78% of men who died by suicide had contact with their primary care provider within the year prior to their suicide, lending support to the role played by primary care providers in suicide prevention. Other promising approaches in­clude community-wide interventions aimed at changing social norms. For example, in response to low help-seeking and rising suicide rates among men in the early 1990s, the US Air Force developed an innovative population-level suicide prevention strategy that was designed to change norms around help-seeking, improve community-wide awareness of suicide risks, and increase the use of lo­cal re­sources. This systematic effort, which targeted the whole community, was associated with a sustained de­cline in suicide rates, providing some preliminary support for this multilevel, early intervention approach. There are no special protocols or in­struments recommended for screening men for suicidality in primary care. The typical recommended approach focuses on screening for depression (which is a common precursor of suicide) using brief questionnaires, which are typically the same for men and women. One might expect that men’s well-established reluctance to discuss relationship or emotional difficulties would call for more careful screening of men by health care providers, but there is not yet significant evidence supporting the effectiveness of a differential approach to men’s depression or suicide risk. Likewise, the evaluation of suicidality in men typically follows the same general protocol as that for women. At the same time, certain risk factors are more predictive of male suicide, suggesting we should pay greater attention to these factors when evaluating suicidality in men. One study tracked individuals with the diagnosis of major depression over 2 years and found certain variables to be much more predictive of suicidal acts in men than in women: a family history of suicidal behavior, previous drug use, and early parental separation. Male suicides are more likely to occur in the context of substance use disorders than are female suicides. Men also show much higher levels of alcohol abuse—given the pervasive effects associated with abuse of alcohol and other drugs, it is not surprising to find an associated increase in suicide. This should be a key component in the assessment of male suicidality. Protective factors are im­portant to consider in any comprehensive suicide risk assessment, and evidence suggests that protective factors may differ for men and women. For example, being married appears to be a greater protective factor for men than for women. To date, there has not been research to determine whether intervention for suicidality is comparably effective for men and women and whether suicidal men should be approached with different treatment modalities. It is remarkable how little we have learned about causal factors and preventive strategies specifically relevant to male suicide. One would think that the hugely elevated rate of suicide in men compared with women would have sparked a substantial investment of resources into systematic research and enhanced clinical practice. In­stead, the high rate of male suicide has been treated as somehow natural and inevitable. The time has come to give this problem high priority. One line of research might focus upon clinical indicators that are specifically predictive for male suicide.36 Recognition of suicide indicators in clinical practice is especially problematic, given the disinclination of male patients to talk about emotional distress and their greater propensity for impulsive behavior. The development and validation of protocols for male-appropriate suicide assessment and intervention would greatly support health care providers in responding effectively to men’s suicide risk. Another line of research would examine the precipitating and predisposing factors that distinguish male suicide and account for the substantial gender disparity in suicide mortality. Why do men use more lethal methods, why do they move with less hesitation from thinking about suicide to implementing it, and why are they more reluctant to seek help in dealing with the stressors that contribute to suicide? A richer understanding of the pathways to suicide characteristic of men will give us a stronger basis for designing programs to prevent suicide in the general male population and the subpopulation of men with identified mental health problems. 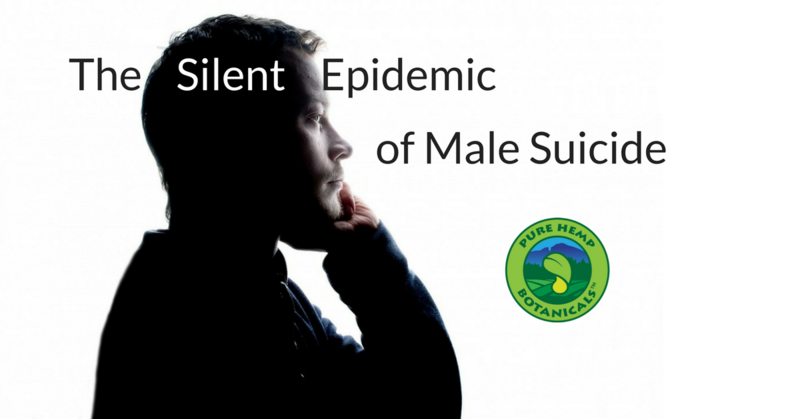 The epidemic of male suicide has been silent, but it cannot remain so. Only by breaking the silence—building public awareness, refining explan­atory frameworks, implementing preventive strategies, and undertaking research—will we overcome this epidemic. If you or someone you know is in need of some extra support, here are a few resources that may be helpful!